International Rock Collective Sontaag Release Hawkwind Cover “Silver Machine” feat. Nik Turner! Featuring Killing Joke’s Youth, Dave Barbarossa of Adam And The Ants/Bow Wow Wow and ex-Hawkwind legend Nik Turner! New York/London – International rock collective Sontaag, whose conceptually ambitious, eponymous debut album (a sonically cinematic, cross-generic space opera) arrived into the progressive firmament to critical acclaim in 2014, are finally set to re-establish contact with our much-troubled earthly realm. 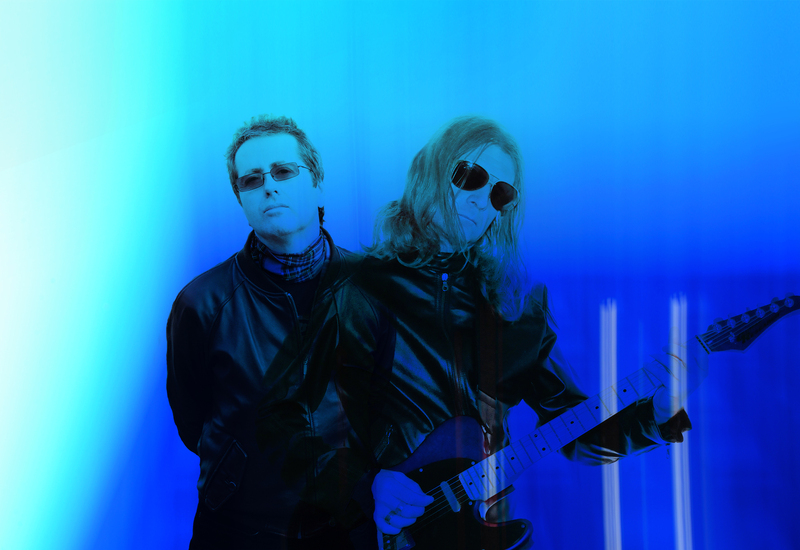 On March 15th, 2019, Sontaag return with a fiercely contemporary interpretation of Hawkwind’s iconic 1972 hit, “Silver Machine.” The Sontaag crew on this particular mission finds core creatives Richard Sontaag (guitars, keyboards, producer) and Ian Fortnam (vocals and guitar) joined by Killing Joke’s Youth on bass, Dave Barbarossa (Adam And The Ants/Bow Wow Wow) on drums and ex-Hawkwind legend Nik Turner on sax. “Silver Machine” is mixed by Youth. Design and photo montage by Julie Cunnah. Thanks to Kevin Nixon. “Silver Machine” is available through Cleopatra Records via all digital platforms and also comes in radically remixed form courtesy of Sontaag’s fellow travellers in outer and inner psychedelic space, The Orb. Richard Sontaag: Ian’s been pestering me to do a Hawkwind cover since way back when — the coolest kid in our school, he was often seen walking around with the Doremi Faso Latido LP under his arm between classes. But our Silver Machine came about in an unexpected way. I was alone in the studio late one night, and noticed that the guys had strung up a microphone from the ceiling. I put all the amps in a circle around it — which is really bad technique – and went round each one, blasting out Silver Machine on different instruments. That was the most fun I have ever had in a studio — and some of it even made it on to the final track. In the grand tradition of high concept progressive rock comes an epic cross-media hybrid where cerebral science fiction meets visceral rock ‘n’ roll. Sontaag’s eponymous debut album has been described as ‘the space opera that Pink Floyd never wrote’, ‘a modern-day Tubular Bells’, ‘a prog-rock War Of The Worlds’, but no reference point or sound-bite nails its seamless combination of space rock, narrative spoken word, and evocative ambience quite as neatly as ‘sonic cinema’. Recorded in New York City and London, co-produced and mixed by Youth (Killing Joke, The Fireman) for Big Life Management, ‘Sontaag’ is a stunning and immersive listening experience. An evolutionary progression combining cutting edge sounds with classic dynamics, adapting the rock experience for today’s digital environment. Arriving in a landscape where music, books and movies often co-exist on a single handheld device, ‘Sontaag’ represents a seamless fusion of the finest elements of all three. Sontaag features Richard Sontaag (composition, instruments, concept, co-production) and Ian Fortnam (story, lyrics, voice, concept). ‘Sontaag’ is a cross-generic space rock grand opera: a transcontinental project fast-tracking contemporary music into a cinematic future by refusing to recognize boundaries geographic or stylistic. Imagine stratosphere-scraping Pink Floyd dynamism powered beyond the boundaries and constraints of gravity by the propulsive sonic energy of a visionary Youth production job; a Star Wars saga psychedelicized by the vivid ambient shades of an Orb sound palette. Pucker up and kiss… the apocalypse.